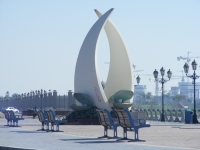 This tour will introduce you to the capital of United Arab Emirates. 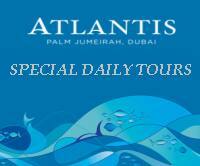 We will pick you up from your residence at 8:00 AM From Dubai on our way to Abu Dhabi, we pass the Dubai free Zone and Jebal Ali Port, which is one of the largest manmade ports. In Abu Dhabi we will visit women's handicrafts center and the petroleum exhibition, where we can view a short information film on the history of oil in the region. We continue with our drive around the city passing along the impressive corniche, magnificent Sheikh Zayed Mosques (Guided tour will be given) , marvelous fountains and beautiful gardens. 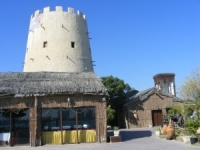 The tour also includes a drive through the Bateen area and a stroll through heritage village before returning to Dubai. Cost $130.00 (Dhs. 468 for adults and and $ 93 (Dhs. 330) children. Contact us for more details. In order to have an easy access to Sheikh Zayed Grand Mosque and the Emirates Palace hotel Restaurants it is advised that the following dress code must be followed. Smart casual. No shorts, flip flops, slippers, sleeveless t-shirts, vests, Bermudas Gentlemen are requested to wear a shirt with collar, trousers and closed shoes or UAE national dress.